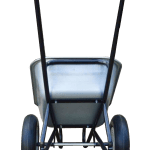 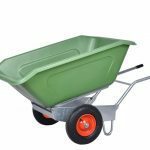 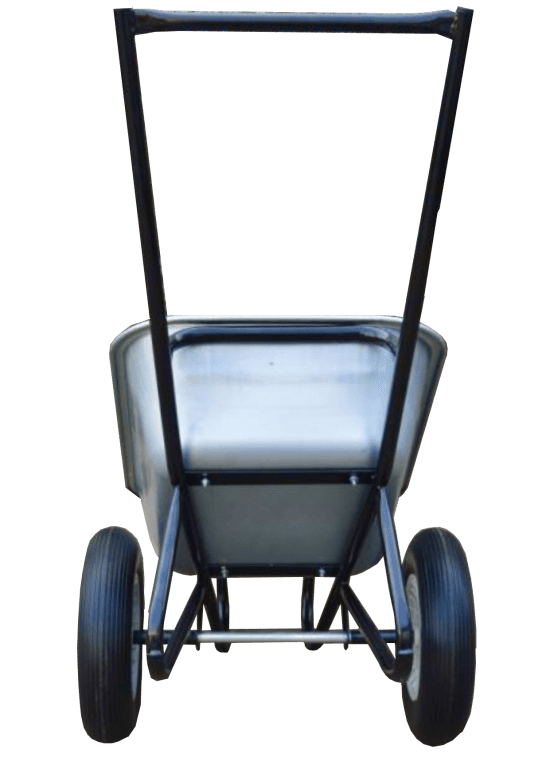 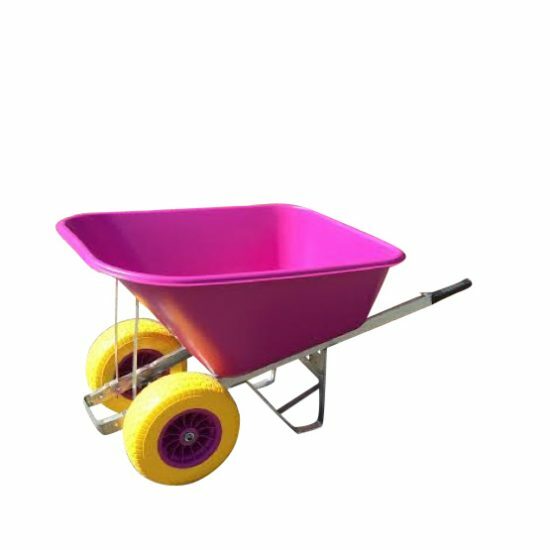 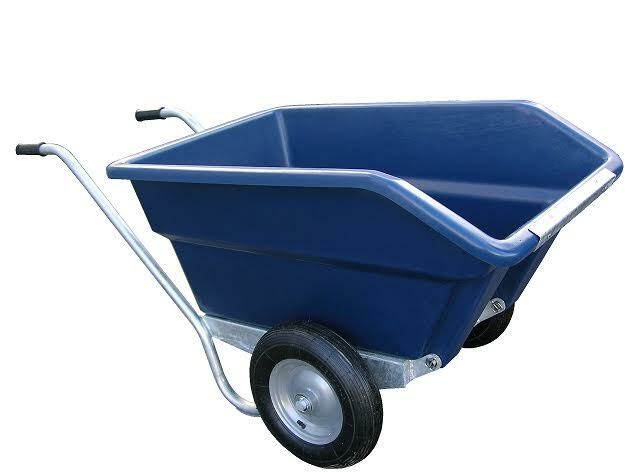 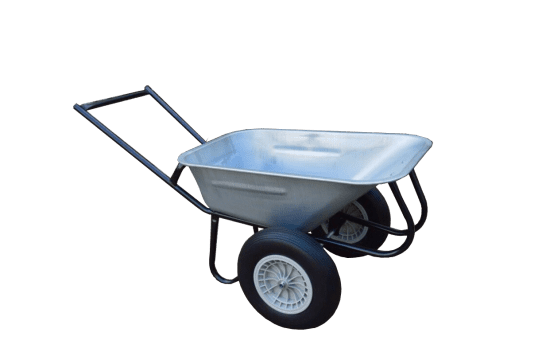 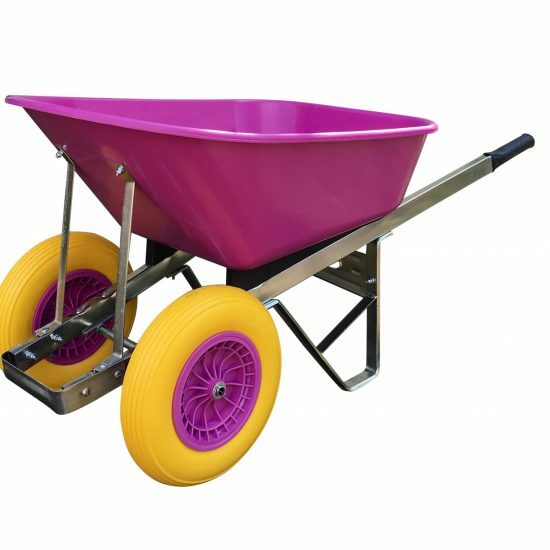 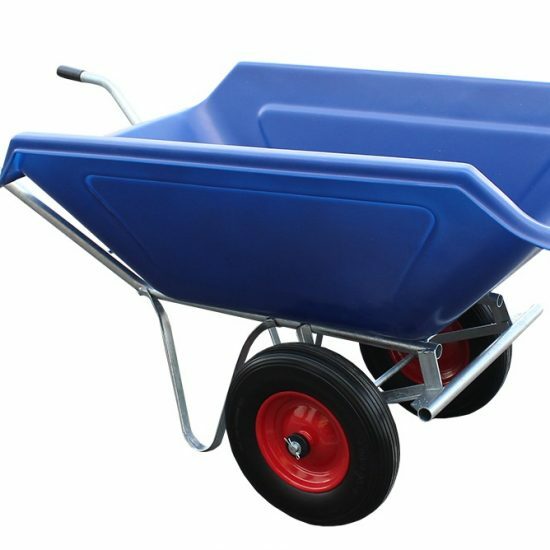 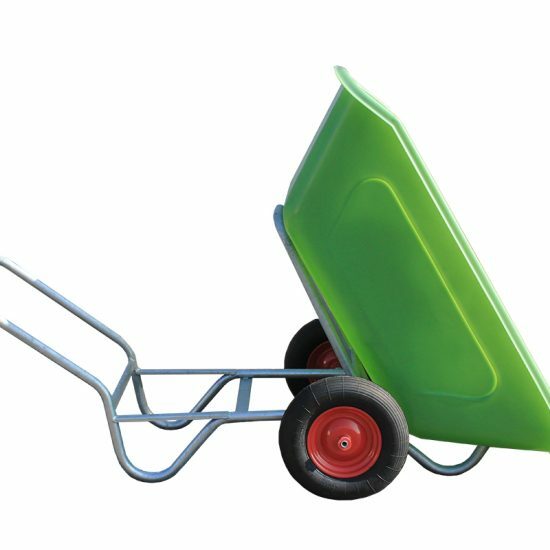 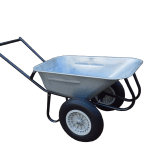 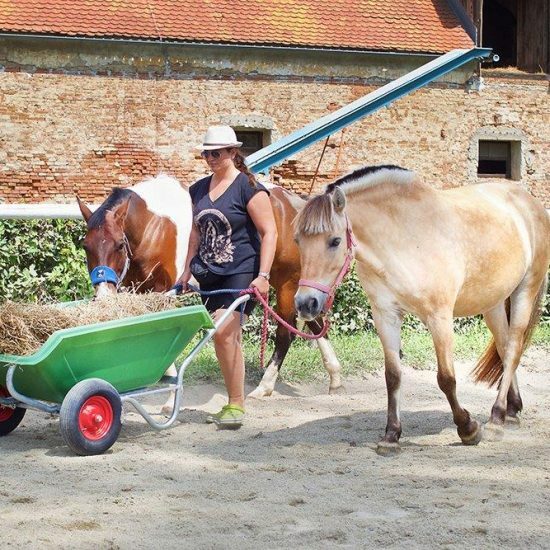 The Twin Wheeled 100 Litre Wheelbarrow with Handlebar and puncture proof Wheels. 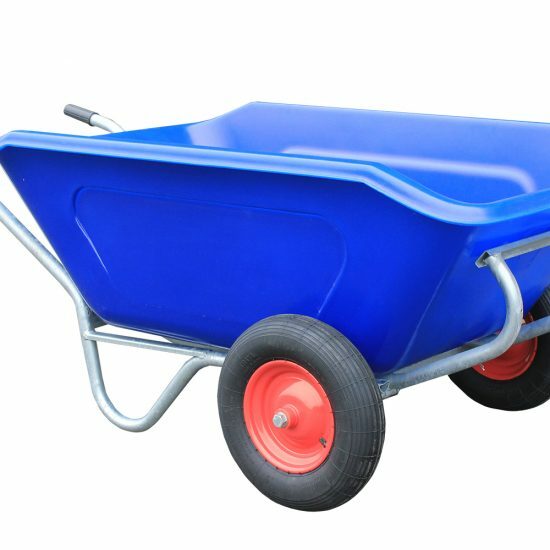 HEAVY DUTY TRAY. 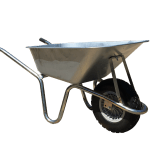 Heavy duty galvanised tray with a large 100 Litre capacity with side ribs and double shifted edges for extra strength. 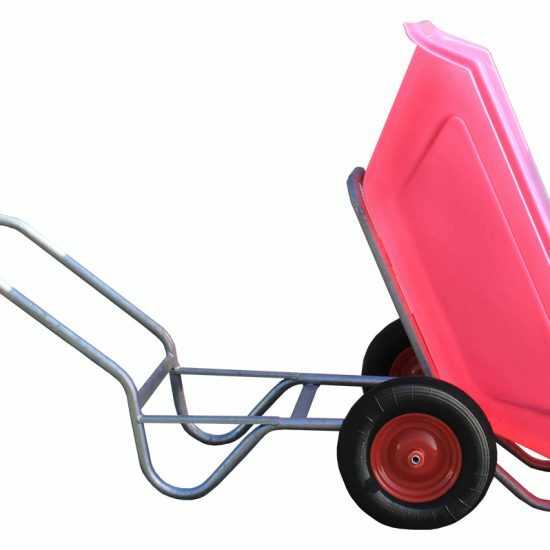 Long lasting fully epoxy powder coated frame. 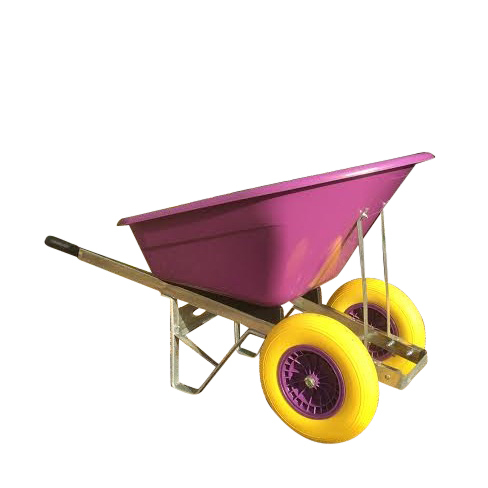 LARGE WHEEL Large diameter puncture proof foam filled tyres offers a perfect balance and a smooth ride even when heavily loaded. 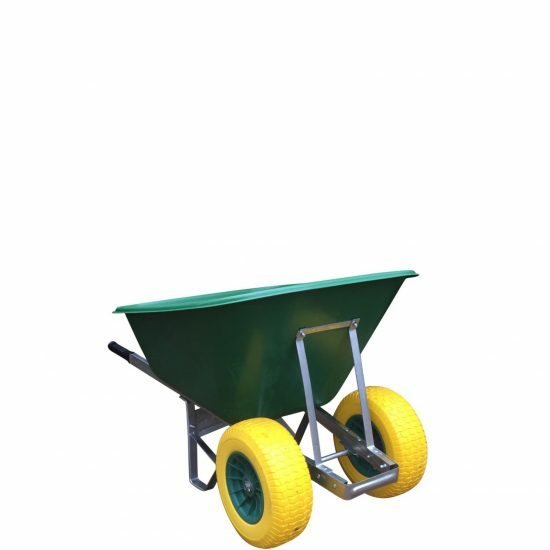 ( Puncture proof tyres are rubber and foam filled, not solid rubber or plastic ) Puncture proof tyres are the closest feeling tyre to pneumatic tyres, but with no punctures.We also offered this product with pneumatic Wheels.